Cornelis Bonnet started Texas Digital Systems Europe in 2003 as a new venture. Cornelis has a rich experience in the telecommunication market; he has worked as director at Nortel Networks and he was managing director Northern Europe at Aspect Telecommunications. As managing director at Texas Digital Systems Europe, Cornelis focuses on providing his clients with the right telecommunication solutions. Texas Digital Systems Europe started as a sales partner of Texas Digital, a digital signage corporation in the United States. Since then, Texas Digital Systems Europe has evolved itself into one of the market leading providers of Visual Management for corporate communications. Click here to read the press release of Texas Digital Systems Europe by the Business Wire. 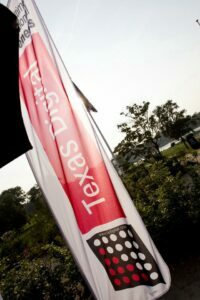 Texas Digital is a market leader in digital signage solutions since 1972. Texas Digital in the United states is the leading supplier of order confirmation displays in the quick-serve restaurant market, while Texas Digital Systems Europe is a pioneer in the use of Visual Management in the corporate world. Texas Digital US is part of the NCR Corporation since 2011 and is active in over 40 countries with clients from Fortune 100 customers. Texas Digital Systems Europe is focused on the right solution for your organisation. By co-operating with our business partners we aim to give you the best possible service, and we are dedicated to serve your communication needs. We bring together the necessary high-tech resources to take our concepts to full solutions for your organisation. Texas Digital strives to be the world’s leading innovator of integrated Visual Management solutions that deliver exceptional value. In order to live up to this vision, we maintain a very close contact with our customers. We do not only provide them with the best equipment available, but we also serve as a consultant and respond quickly to their needs. Our commitment to you is to deliver superior products, lasting value-added business relationships, on-going product development and world-class service and support.